Keep your boat's vinyl surfaces looking great! Just because you use your boat doesn't mean it has to be covered in mildew and slime! Marine 31 Mildew Guard is the easy-to-use vinyl sealant that prevents mildew and mold from forming. Simply spray-and-wipe Marine 31 Mildew Guard onto your vessel�s vinyl surfaces to seal out mildew while offering long-lasting protection against cracking, sun fade, sun tan lotion stains, body oil and more. Enjoy your boat, as often as you would like, and keep it looking great with Marine 31 Mildew Guard. Mildew and mold love the nautical environment for the same reasons we do. The warmth, the sun, the close proximity of the water. This environment is mold nirvana! Marine 31 Mildew Guard prevents the formation of mildew by sealing the pores and voids necessary for it to form. What's more, this long-lasting formula features a high level of UV inhibitors to shield away damaging sun rays. Traditional, water-based protectants can offer good protection, but tend to wash away easily. Marine 31 Mildew Guard uses the same technology developed for paint sealants to create a durable, long-lasting barrier on vinyl surfaces. 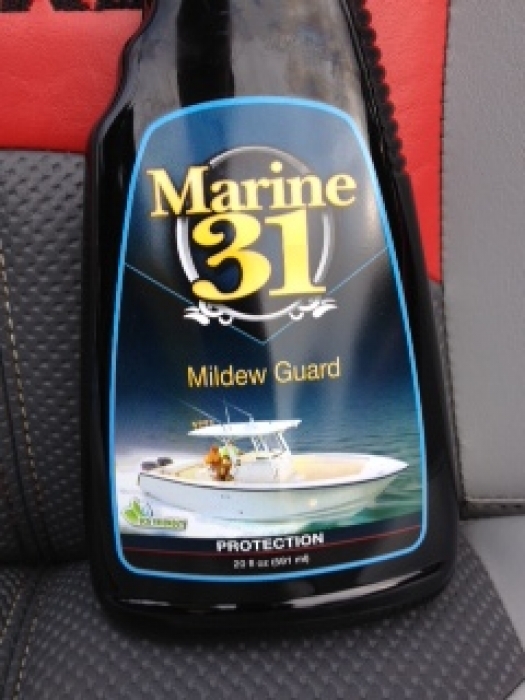 Marine 31 Mildew Guard doesn't wash away in water, it seals your vinyl from it. Marine 31 Mildew Guard provides substantial and long-lasting protection against much more than mildew. Powerful UV inhibitors shield your vinyl surfaces against sun fade, aging and cracking. The sealant barrier helps to prevent body oil or suntan lotion stains, so that bright white seat cushions look great. Frequently applying Marine 31 Mildew Guard is easy to do and will keep your boat looking tip top! Marine 31 Mildew Guard is eco-friendly and harbor-safe. Ensure surface is clean and out of direct sunlight. If mildew is already present, use Marine 31 Port to Starboard All Purpose Cleaner to remove it. Spray product directly onto microfiber or terrycloth towel. Gently massage into surface, making circular, overlapping motions. Wait 2 minutes then lightly buff with a clean, dry microfiber towel. Apply a second coat 10 minutes later to ensure even coverage. A Word From The Captain�s Chair: In my years of sailing the seas, I have seen too many a vessel ruined by mildew and mold. Nothing is more uninviting then a set of mildew-covered seat cushions. Keep your seat cushions, rail cushions and vinyl surfaces looking their best with Marine 31 Mildew Guard. Anchor's up! Marine 31 Mildew Guard is a great follow-up to Marine 31 Mildew Remover. After cleaning and protecting a set of Bass Boat seats in late June, mildew has yet to reappear. 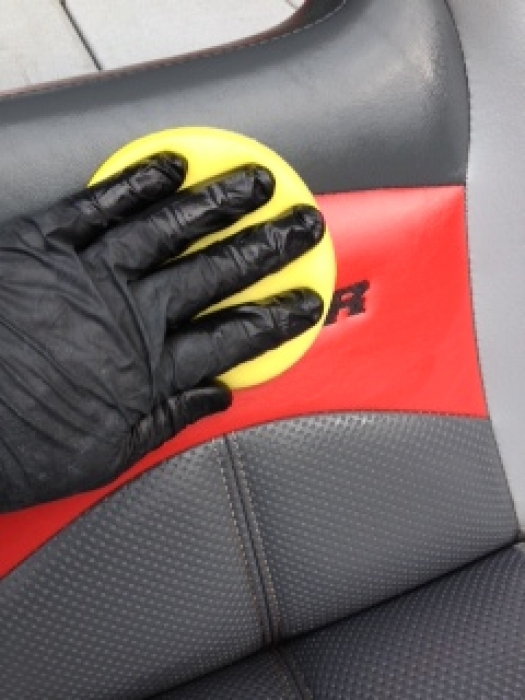 Application is as simple as spraying onto a foam applicator pad, spreading evenly across seats/gauge clusters/ fishing rod holders and buffing if needed. Mildew Remover does leave surfaces slick so be careful not to use it on high traffic areas where a stable footing is needed.